Looking to book a Cover Band in the Kansas City, MO area? OmniEntertainment helps you find the best live Kansas City bands and live music for any occasion. Start here! We make hiring Kansas City Cover Bands in Kansas City a snap! Browse and book the perfect Kansas City Missouri Cover Band for your wedding, corporate event or private party on our site, the event planners booking destination. 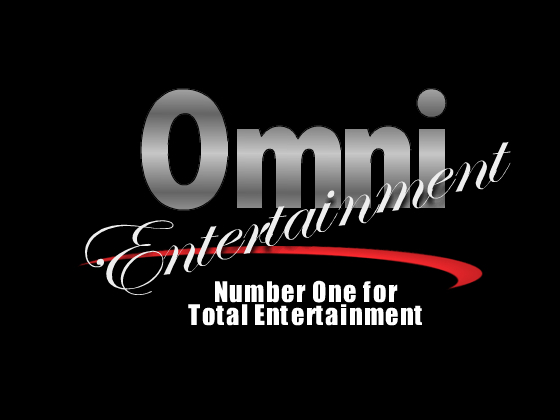 OMNI Entertainment is an Entertainment Agency solely committed to presenting the very best live music and entertainment available in the Missouri and Kansas area. Utilizing our services is as easy as making a phone call. Our reliable, experienced staff maintains all the necessary information on our long list of entertainers and performers, booking everything from live Kansas City Bands and Band booking to celebrity music acts and tribute bands. They can quote you prices that fit your budget and help you book the live entertainment best suited for your nightlife needs. We have the resources to provide the top quality entertainment and Kansas City bands for Corporate Events, Fairs, Festivals, Colleges, Night Clubs, Concerts, Wedding Reception, or any other event where quality is demanded. The entertainment agency services are free to you and we are more than happy to assist you in any way that will make your event a success. We have provided live entertainment in Kansas City and throughout the Midwest since 1988. If you are looking for the right entertainment or a bands in Kansas City for that exciting event you are planning, or if your night club needs just the right atmosphere, then let us book the talent. We are experts in providing dance music to make your wedding reception, high school dance, class reunion or party fun in not only the St. Joseph and Kansas City area, but we are the top live booking agency for the entire Midwest. OMNI ENTERTAINMENT provides top quality entertainment for Northwest Missouri’s musical needs. We have a huge variety of band that can play the dance music of any year from the 1940s to today’s top hits. We are also a concert booking agent for many top national acts. When calling OMNI, it is helpful for you to know the date(s) of your event, the location, the approximate budget and the type of music you need. The demand for entertainment is greater at certain times of the year than others, so it is wise to contact us well in advance of the date of your event. From rock to country, jazz to blues, OMNI ENTERTAINMENT books top quality live entertainment and Kansas City bands for today’s musical needs. OMNI Entertainment offers several of the top duo and single performing acts in the area that covers an extensive range of musical styles. Also offered are several of the area’s top magicians, each with their own style of magic and comedy. We also offer a complete Mobile DJ & Video Service for any occasion, booking the top Kansas City Missouri Wedding DJ’s in the area. Each Mobile DJ comes complete with state of the art light & sound system, optional video & karaoke systems, and a catalog of music that can satisfy any musical tastes on request. The demand for Kansas City wedding bands and quality entertainment is greater at certain times of the year than others, so it is wise to contact us well in advance of the date of your event. Please fill out the form below and we will contact ASAP with the just the right entertainment at a great price. DJ Services in Kansas City - OMNI Entertainment offers complete DJ & Video Services available for any occasion, featuring the top DJ’s in the area. Each DJ comes complete with state-of-the-art light and sound system, optional video & karaoke systems, and a catalog of music that can satisfy any musical tastes on request. Book a band Kansas City - Funk Syndicate is Kansas City's #1 Band for Weddings, Private Events, Corporate Events, & Clubs. Funk, R&B and dance band Funk Syndicate has been taking Kansas City by storm. They can be seen packing the dance floor at major events all over Kansas City. Hire a band Kansas City - There is no better Beatles tribute band than LIVERPOOL band, members of the Kansas Music Hall of Fame. Having performed superb musical theater honoring the Fab Four for more than twenty years, LIVERPOOL is much more than one of the Bands in Kansas City that performs Beatles music. LIVERPOOL accurately depicts the look, sound, humor, instrumentation and, of course, the music that made the Beatles famous and loved world-wide. Wedding band Kansas City - Dolewite is Hip-Hop tribute band playing hits from the 80's, 90's, and 2000's using live instruments and six vocalists. Their high energy formula for transforming party anthems into an interactive live party experience is unmatched. Dolewite is more than a Kansas City Band. They don't just play songs, they put on a show! With high quality sound and a light show to match, Dolewite brings the party. Come join the crowd and see for yourself. Bring your dancing shoes. Party band Kansas City - Flashback band is a wedding, corporate event & private party band for hire. Having a special event, Flashback will be glad to give you some great Mowtown, Disco & Funk, and party dance music, as well as some rhythm & blues. We have a huge play list of songs to choose from. Band Entertainment Agent - Hudson Drive is a premiere, high-energy country band hailing from Kansas City, and is one of the fastest growing bands in the Midwest. Comprised of accomplished local artists, Hudson Drive is sure to entertain an audience at any event. Their playlist covers today’s best country covers, originals, and Hudson Drive’s own take on classic hits from legendary artists. From Luke Bryan to George Strait, Hudson Drive has a country-certified sound from the midwest, perfect for get-togethers, corporate events, and a great night out. Band Entertainment Kansas City - Boogie Wonderland is Kansas City's best live dance band performing your favorite dance hits. Available for weddings, corporate events, fundraisers, private parties, conventions, festivals and high energy bars/clubs, Wonderland performs a variety of dance hits from the 70s-2000's. We make your event special by providing tasteful, fun, danceable Kansas City Band for you and your guests. Kansas City Bands for Hire? We make hiring a Cover Band a snap! Browse and book the best Cover Bands in Kansas City, Missouri on GigSalad. Welcome to Kansas City Bands, a local online resource to look up bands ... Kansas City and the people wanting to know where they are playing or to hire them. Kansas City bands & Kansas City DJ booking service for Kansas City wedding receptions, Kansas City corporate events and Kansas City ... Bands for Hire! Here is the definitive list of Kansas City's bands for hire as rated by the Kansas City, MO community. Want to see who made the cut? © 2014 Omni Entertainment. All Rights Reserved.